It is with great sadness and with heavy hearts our family announces the sudden passing of Ed at the age of 69. Ed was born in Calgary, Alberta to his loving parents Phillip and Edna Scott. He grew up in Exshaw, Alberta and in the Bow Valley where he developed his love for the outdoors. He was known for his love of fishing, on shore or in the boat. He was an avid camper and would camp in any weather. He loved to tie his own flies with each new area that he fished in. He enjoyed planning his off-road camping trips and exploring new territory along the way. His tag line was “Always Going Home”, on the back of his campervan. Ed had a great sense of humor, a great story teller and enjoyed his time at the coffee shop with the “boys”. Ed worked for Lafarge Canada Inc. until he retired in 1998. He was a proud member of the International Brotherhood of Boilermakers Local 146. Ed received his pin in 2016 for 45 years of service. Beloved husband of Sharon, his wife of 44 years, Ed was predeceased by his father Phillip in the late 1960’s and his mother Edna in 1993. 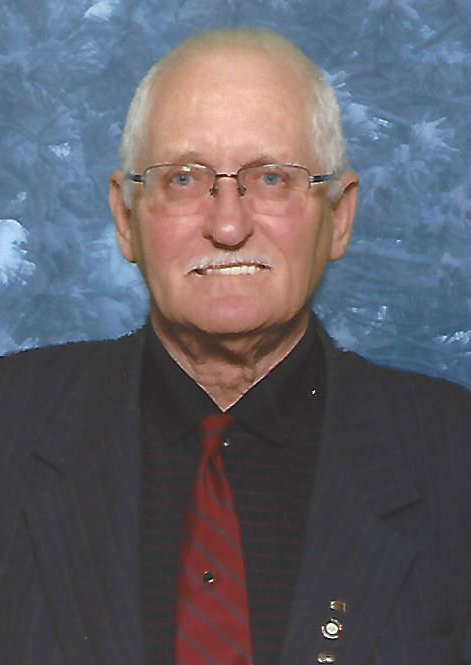 He will be mourned and missed by his loving daughter Angela (Ed) Campbell and grandchildren, Ryan, Chloe, and Dylan (Oro-Medonte, Ontario) and his loving son Darcy (Calgary, AB). Ed is also survived by his sister-in-law Linda Caldwell (Red Deer, AB), Sue Foubert (Salmon Arm, B.C) and brother-in-law Garry (Wendy) Foubert (Ruthven, Ontario), and numerous nieces and nephews. Ed’s faithful companion, Sammy, who never left his side and sidekick Rosie, they will always be looking for the front door to open again. A Celebration of Ed’s Life is being planned for close friends and family. It will be held at Ed and Sharon’s home on Saturday March 18, 2017 from 1 pm-4 pm. Heartfelt condolences to Sharon and family. Rest in peace Ed! My Heartfelt condolences to all of Ed’s family at this time of need. I personally did’nt know Ed but my late father Francis Cooke spoke of him often. Rest In Peace Mr Scott. My deepest condolences to Edward’s family on his sudden passing. I knew Edward and his Mom and Dad from when I went to school in Exshaw.